This is State Representative King Banaian. As an economist, I'm concerned about balancing budgets and keeping taxes reasonable. As a husband and father, I'm concerned about protecting life at all stages. As a professor, I'm concerned about making sure the best education is available and affordable. And, as a Legislator, I'm concerned about you and protecting your well being as a citizen of Minnesota. On November 6 you have a clear choice. I humbly ask for your vote for me, King Banaian for House District 14B. Paid for by King for House Campaign Committee. This is former Lieutenant Governor Joanne Benson asking for your vote for Representative King Banaian. King brings real life experience as an economist. I can think of no one better than King Banaian to continue helping us. As a former State Senator, I remember the dynamics of bringing both sides of the aisle together. He enjoys hearing both sides of an issue, he listens and he cares. Joanne Benson, asking for your vote for King Banaian for State Representative, House District 14B. This is former state Representative Dave Gruenes. Please join me in voting for King Banaian for State Representative. King effectively brings his expertise as an economist and combines it with a practicality that is much needed. 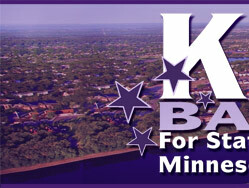 As a former State Representative, I can tell you that King has what it takes. King is a common-sense kind of guy. I appreciate what he brings to the table as an economist, a professor and a family guy. Please join me, Dave Gruenes, in voting for King Banaian for State Representative, House District 14B on November sixth. Husband: Hi, Honey! I see we have a "King for House" sign in the yard. I'm a little confused. Wife: Confused? You know he's been a great representative in St. Paul. Husband: True! He's kept his word - voting for a more responsible budget for Minnesota, holding the line on taxes, supporting higher education and he's a logical economist. I know he's now representing the new House District fourteen B. But - I thought kings didn't have to run for reelection? King: I'm King Banaian, I approve this message, and would appreciate your vote on November sixth! 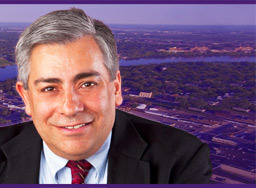 Representative King Banaian understands the people of St. Cloud. He held the line on taxes and still found ways to increase educational opportunities for workers. As a professor of economics Representative King Banaian knows what wasteful government spending is. He wrote a law that filters out programs that don’t work, keeping taxpayer dollars from falling through the cracks of big government. We need Representative King Banaian in office to protect St. Cloud. Vote King Banaian for State Representative, District Fourteen B. Paid for by the King Banaian for House Campaign Committee. I’d like to thank the League of Women Voters and the St. Cloud Times for organizing this important debate tonight. And I’d like to thank the audience for taking the time to learn about the issues and us candidates. Two years ago many questioned the very core of our economic system. It was an election that brought many to seek solutions based on promises. Many of those promises now appear to be dust. Our state struggled with how to finance its own budget, and in the strain we saw a system that no longer worked. Legislators fought with each other; a governor stepped in with a unique solution; both went to court to argue why the other couldn’t do its job. What got left behind was a mess for the next Legislature and governor to deal with. Despite everything else you heard here tonight these facts are not in dispute: The current budget spends $30.5 billion in the biennium through the end of June next year. The next budget is expected to have $32.9 billion in revenues according to the state’s finance department. But the last Legislature agreed to spend $38.7 billion in the next biennium. When you hear others say they want to have a “balanced approach,” it is your wallet they want to throw on the balance to pay for their spending. I chose to run for this seat because I saw something was wrong with that process and think I have a plan to fix it. Higher taxes do not create jobs; the dollar that pays for any public spending must first be taken from someone else. What was that dollar going to do before, did you think? Would it have bought a new shirt? A pizza? What of the jobs for the tailor or the cook? I offer you a chance to do something different. We ask for – no, we demand as citizens – real accountability for our public resources. We demand that the regulations we face really work to solve problems that we agree are real and pressing. Regulations that inhibit job growth must be examined and, if not working well, removed. Your life is more than a job, but meaningful work makes us not only wealthier but happier. A life has dreams; your dreams that should not be subject to confiscation or undue regulation. Your dreams should not be subject to someone’s desire to increase spending by 27%. If that makes my approach imbalanced, fine. There is no midpoint between right and wrong. 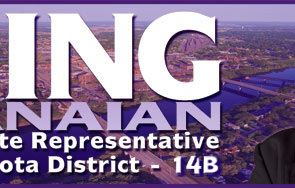 I’m King Banaian, and I offer to serve you as your representative for House District 15B, because your dreams deserve a chance to grow, because the growth of Minnesotans’ dreams was always what made this a great state. Thank you.